Whether a new construction requires a complete HVAC installation, or an older home calls for some upgrades to the current HVAC system, Heating and Cooling Repair North Bay is the most trusted company for professional, reliable, and swift service. Our technicians have been working in this industry for years, performing residential and commercial HVAC installations for customer throughout North Bay, Ontario. 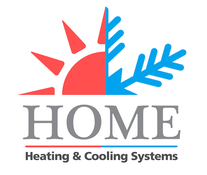 Our thorough knowledge and expertise in heating and cooling allow us to help our customers ensure that any installations are done properly and with care. Our goal is to deliver quality results and high efficiency. We take into account the specific needs of our customers, the size and layout of the building, and various other factors to make sure that you have the best heating or air conditioning for your home. From ventilation to thermostats, we make sure every detail is spot on and perfectly suited for each particular case. For general HVAC installations, call our expert technicians for assistance. The heat can make you feel exhausted and irritable, which is far from conducive to relaxation or rest. In fact, discomfort caused by high temperatures can impact productivity, restful sleep, appetite, and many other things. The sunshine and opportunities for outdoor recreation that come along with summer should be something that you look forward to, and having high efficiency, reliable air conditioning can go a long way in making sure you are able to enjoy all seasons. Spend time outside soaking up the sun and fresh air, and whenever you need a reprieve, some home to your cool, climate controlled home. Heating and Cooling Repair North Bay will help you ensure that you have adequate cooling for your home. We provide professional air conditioning installations, maintenance, and repairs for our customers. Our services include 24/7 emergency service to be able to assist you whenever you need it. The bitter cold of winter drives many North Bay residents indoors for several months. Although there is no lack of winter activities available for those who don't mind the cold, many prefer to cozy up inside their homes with their loved ones and admire the snow through the window instead. It is important to have functioning heating in your home when the temperature starts to dip into the double-digit negatives. Four walls and a roof alone will not be able to keep the cold out. You need high efficiency heating, whether you ultimately decide a furnace, boiler, or gas fireplace is right for you. Heating and Cooling Repair North Bay can help with that. Beyond basic repairs, our highly trained technicians can perform any general HVAC installations for customers. This includes heat pumps, ventilation, thermostats, and more. There's no need to feel a sense of dread when winter comes around, we can make sure you have access to reliable and efficient heating throughout your home. Give us a call for professional heating systems installations.